Disclosure: This giveaway has been sponsored by Brooklyn Bowtied. It’s the summer — time for barbeques, parades, and backyard parties! You and your pup can look your best in matching bow ties, or pick out your pup’s new summer wardrobe. One (1) winner will win a Bow Tie Prize Pack containing EITHER (3) Dog Bow Ties of Choice from Brooklyn Bowtied in the winner’s choice of size (Small, Medium, or Large) OR (1) Set of Matching Dog and Human Bow Ties in the winner’s choice of style and size. Prizes are subject to availability of inventory. Brooklyn Bowtied is actually me and Henry! Before adopting Henry, I sold human bow ties. Once he joined the family, however, everything changed and the company now focuses on dog bow ties. We’re starting to offer matching sets, though — perfect for wedding, holidays, and family photos! 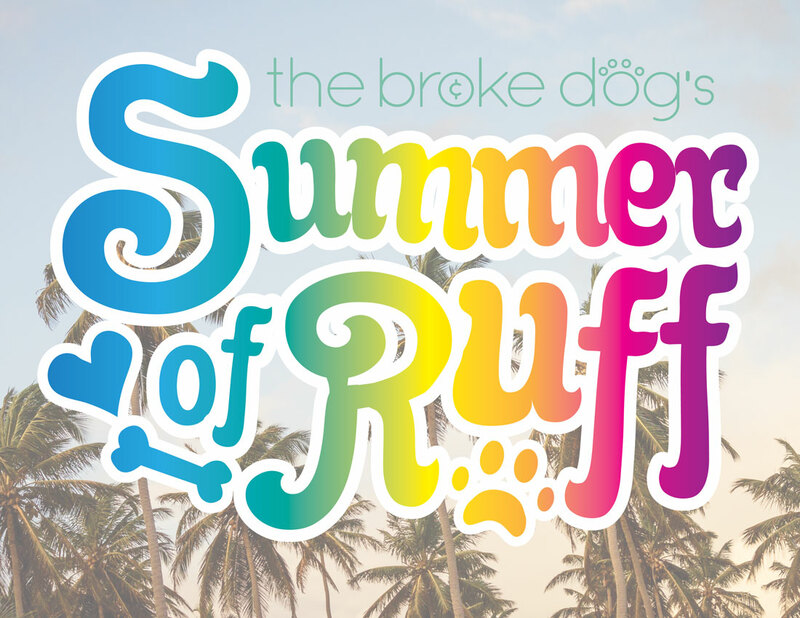 This is Summer of Ruff, the Broke Dog’s weekly summer giveaway series! This is the second year we’ve given away weekly prizes all summer along. Why? Because we want to thank you for being AWESOME! We know that sometimes it can be hard to treat you or your dog when money is tight, so we want to help our followers have the best summer ever! Check back each Friday for a new chance to win, and also check out our other Summer of Ruff giveaways here. It’s an impossible choice, I adore all of them. I love the matching sets and the Langham set would be my pick. Thank you! We live in Florida, so we would have to get the Engert with the Flamingos for everyone. I wish this came in the human and dog set. This would look so cute for the kids, Dad and dogs. We’d choose the three pack because there are three boys in our pack. Noah chooses Brighton Sebastian chooses Whitwell and Fudge likes Parkside. I would choose the 3 bow ties for my dog if I won! OOPS>> MY POST DID NOT POST! I HAVE THREE BEAUTIFUL STANDARD POODLE GIRLS>>>1) ISSABELLA WOULD BE LOVELY IN THE STARR 2) AVA LOVES THE BOKEE 3) AND WILLOW WOULD BE STUNNING IN THE DEKOVEN. I’d pick the 3 pack for dogs. It is hard to narrow down my favorites because I love so many of them. I think I’d choose the Langham, the Greene, and the Lott Bowtie. I’d choose the 3 pack of bow ties. I have three Boston’s and they look so cute in a bow tie. We’d get the 3 pack for the Lapdogs…. I have to think about which 3 designs… love Brighton, Ditmas, Laurel…. The three pack. I like the Jerome, Brighton, and the Carlton. Nacho would look handsome in the 3 pack… the Voorhies, the Kent and the Jerome bowties are adorable! Nacho would look handsome in the Kent, Voorhies and Jerome bowties!! I would choose the 3 pack and probably donate them to Boston Terrier rescue. They’re super cute but my dog doesn’t wear a collar. I’d LOVE to see paxie and my fiancé in matching bow ties!! Way too cool!! I’d love to win the 3 pack so we could share with Lucy’s 2 doggy cousins! I would definitely get the Starr Bow Tie with the adorable unicorns! This would be perfect for my Blue Merle Chihuahua, Domino! He is unique just like a unicorn. I’d probably choose the 3 pack of dog bowties.